The first day of E3 is nowhere close to over and Skatter Tech continues to bring you exclusive, live coverage of all the big gaming announcements. Our next stop, LA theater to hear what Ubisoft has to bring to the table. Let’s hope they don’t disappoint with some long awaited titles expected to be revealed for this year. 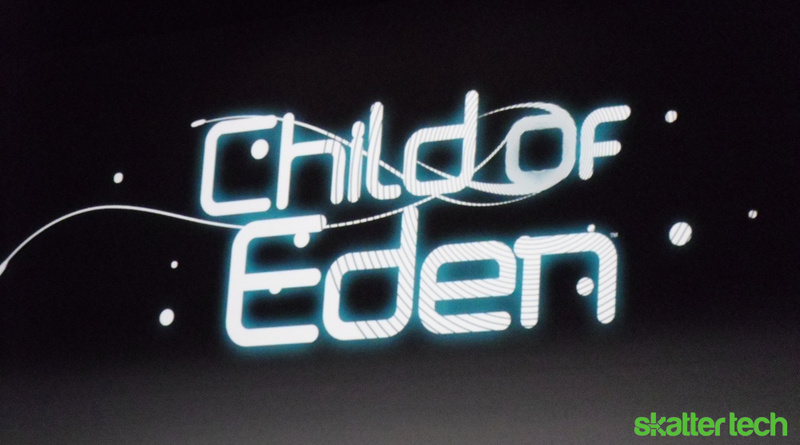 5:10PM – Tetsuya Mizuguchi demos Children of Eden, a visually enthralling rhythm game, and it is without a doubt stunning. Joel McHale makes a surprise guest appearance and brings his talent and humor to the stage. 5:13PM – Teaser for Assassin’s Creed 3 plays filling up the entire LA theater with lights and visual effects. The trailer then continues to play to reveal more information on the game. 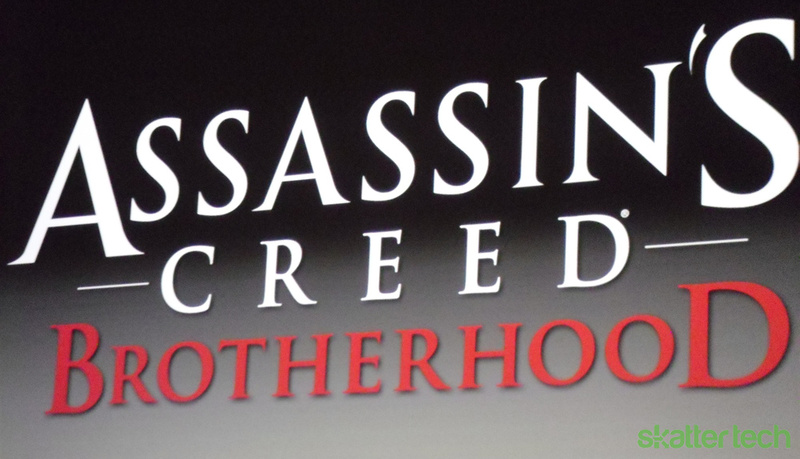 Assassin’s Creed: Brotherhood is expected to come out November 16th, 2010. 5:19PM – A demo for AC Brotherhood is being shown off on the big screen and it looks great. The environments are incredible with more interaction between towns, other characters, and even horse battles will occur in the final game. The focus of this sequel is to bring the protagonist into the role of a leader of other Assassins (each unique with their own skill sets) and lead a war of revenge. 5:25PM – Shaun White takes the stage and the crowd goes wild as him and Joel comically promote his franchise of skateboarding games. 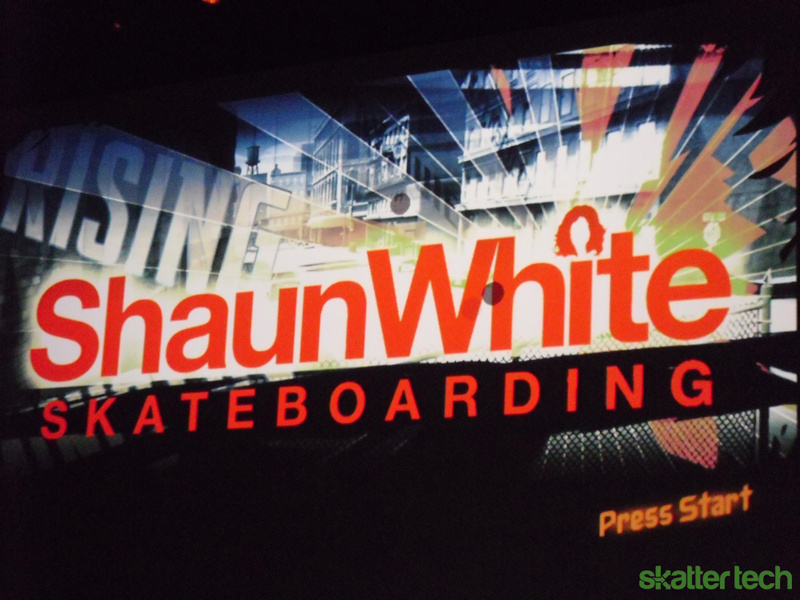 5:30PM – Shaun White Skateboarding is attempting to be different than other skating games by giving players the ability to shape and grow the environment around them. For example, when Shaun does tricks the industrious world around him blooms with life and color. All I can think is “Okami Skateboarding,” especially when a cherry tree blossomed… A unique feature is that the player can change “space” entirely to skate literally wherever the hell they want to go. 5:37PM – And now the crowd is extremely confused. Grown men and women are running around with “laser tag” equipment while the console is keeping score and time. This game is called Battle Tag and the producer is there to discuss it. Imagine Online Shooter interface but for real life. 5:40PM – Joel is demoing the game for us now with consecutive targets set up to be shot in a test of speed against the producer. 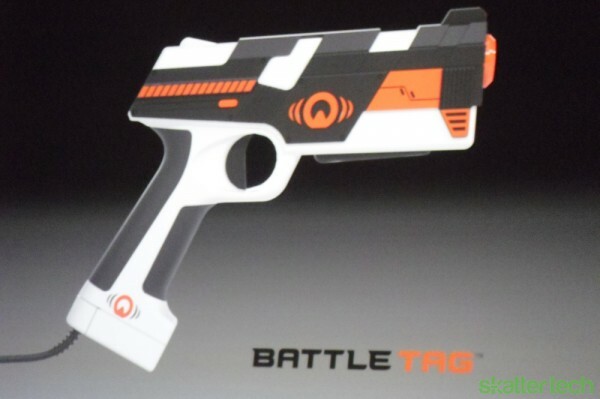 The producer has announced Battle Tag, “a videogame for real life,” will be released with four laser guns. 5:45PM – Innergy, a game like I’ve never seen before. Joel is once again the test-subject as the producer of the game gives him a finger-strap that will “sense” his bodily responses. 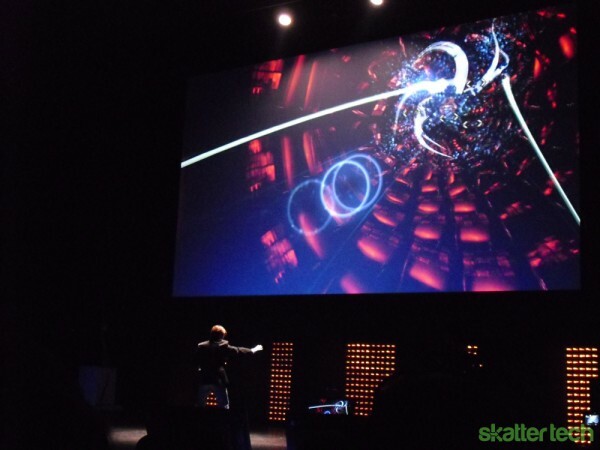 The demo we were shown was a breathing game where breathing in and breathing out would guide a little creature through a path representing how responsive you are to the game. Innergy is supposed to reduce stress and promote relaxation. 5:49PM – The audience is now even more confused… where exactly are the videogames? Is Ubisoft having a hit-and-miss with testing their new innovative and interactive gaming technology? 5:54PM – Ubisoft is now bringing in the big guns: games for the Microsoft Kinect. So far it’ nothing beyond what Microsoft themselves revealed earlier in their press conference. In fact, Ubisoft is only showing mini-sport games and Your Shape: Fitness Evolved, as demoed at the Microsoft event. It’s even the same girl and same features being shown. The only new addition to this demo on stage is Joel’s much needed comical relief. 5:57PM – Okay, I lied, Ubisoft is showing a lot more with Your Shape than Microsoft had. There is a lot more of a competitive nature as well as a social networking side not seen before. Let me say right now though, if Ubisoft does not announce a Rabbids title for the Kinect, I will be disappointed. 6:00PM – Ladies and gentlemen I called it! 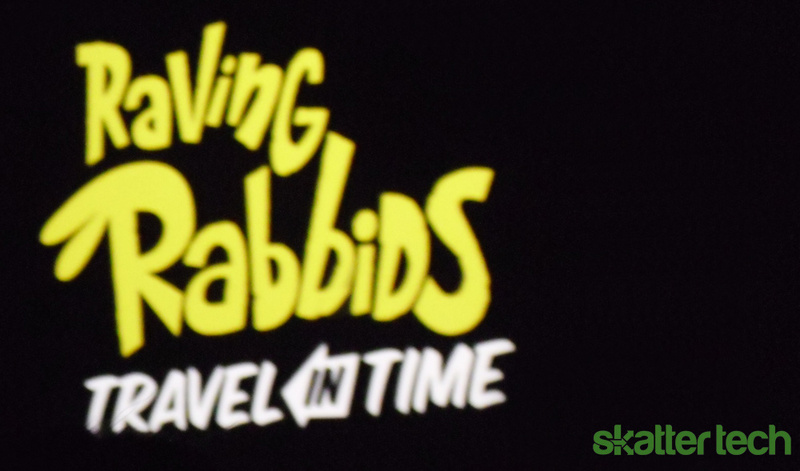 A brand new game featuring those Raving Rabbids has been confirmed: Raving Rabbids: Back in Time. But wait… what is this? The Raving Rabbids will be exclusive to the Wii. No Kinect title yet. 6:02PM – Now Ubisoft is putting their big-boy pants on– Ghost Recon: Future Soldier has just been confirmed. The Producer and Game Designer join Joel on stage to discuss this upcoming popular title. 6:06PM – The gameplay is awesome, the environments are huge and well thought out, and the interface and hub system are something I’ve never seen before. Ghost Recon continues to push stealth gameplay to a whole new level and Future Soldier is a perfect example of that. 6:11PM – Ghost Recon Future Soldier is going to have four player co-op mode included in the online gameplay. 6:15PM – Driver: San Francisco continues the series and is advertised as bringing the game back to it’s roots, including the original protagonist from the first game. Gameplay is being shown right now and it is gorgeous, truly capturing the environment of SF. 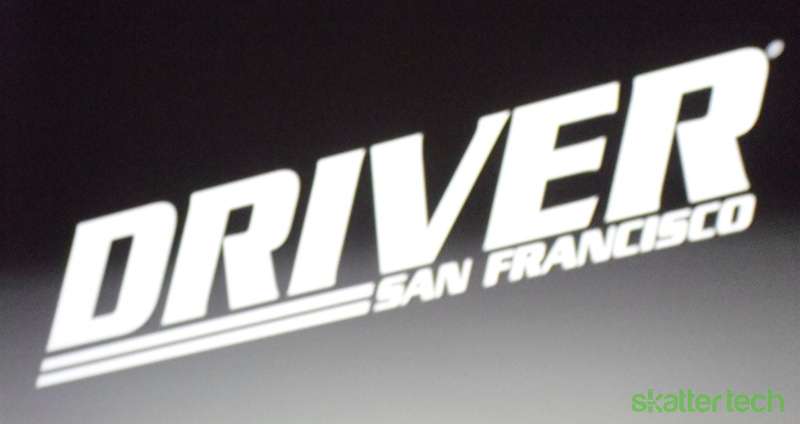 6:16PM – Driver: San Francisco hopes to capture the feel of a classic 70’s car chase. A new element gives the player the limited ability to spawn from car to car. 6:18PM – The multiplayer in Driver: SF will include this “shift” ability, dramatically changing the way a driving game can be played against opponents. 6:20PM – CEO of Ubisoft, Yves, presents one of Ubisoft’s biggest projects, to reach consoles in the near future: Project DUST (Spring 2011). 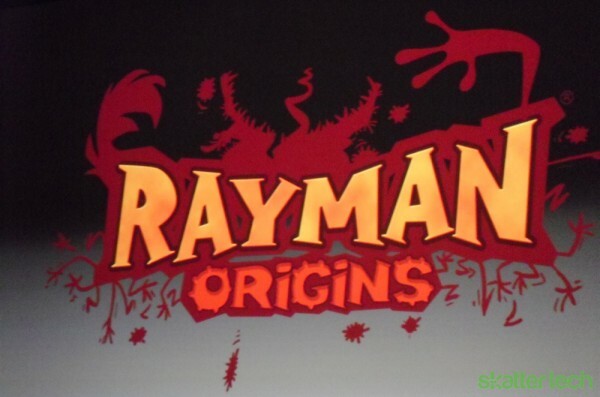 6:23PM – Another one of Ubisoft’s projects, including the building of UbiArt with only five people working on it, is the return of a true vintage gaming hero: Rayman: Origins. From the gameplay shown here, Rayman is back to what makes him a platforming icon, along with hints of multiplayer. 6:27PM – The last Ubisoft project announced is Maniaplanet. This is a user “empowered” PC platform that unites players everywhere to three popular gaming genres: Trackmania (racing), Shootmania (FPS), and Questmania (RPG). A beta for each will be released within the next year, with Questmania coming soon. I’m a bit confused as to what the big picture is so we will have to see with the first beta.